Easter Island, a Chilean territory, is a remote volcanic island in Polynesia. Its native name is Rapa Nui. It’s famed for archaeological sites, including nearly 900 monumental statues called moai, created by inhabitants during the 13th–16th centuries. The moai are carved human figures with oversize heads, often resting on massive stone pedestals called ahus. 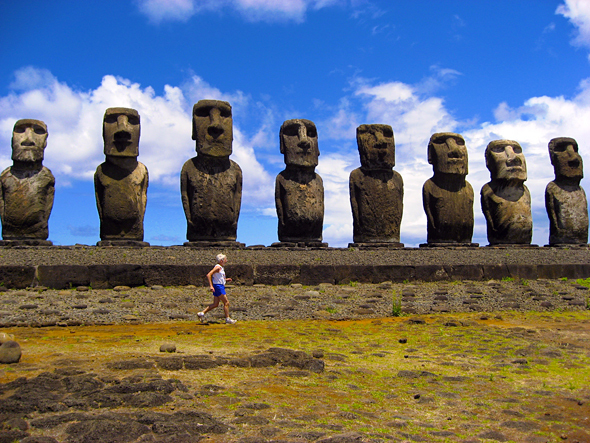 Ahu Tongariki has the largest group of upright moai.